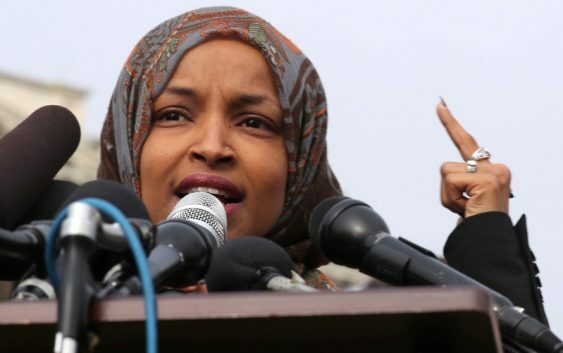 WASHINGTON (Reuters) – U.S. President Donald Trump said on Tuesday he believes that Democratic U.S. Representative Ilhan Omar should resign after her comments about the pro-Israel lobby in the United States. “Anti-Semitism has no place in the United States Congress,” said Trump, who has himself been criticized for remarks offensive to racial and ethnic minorities. 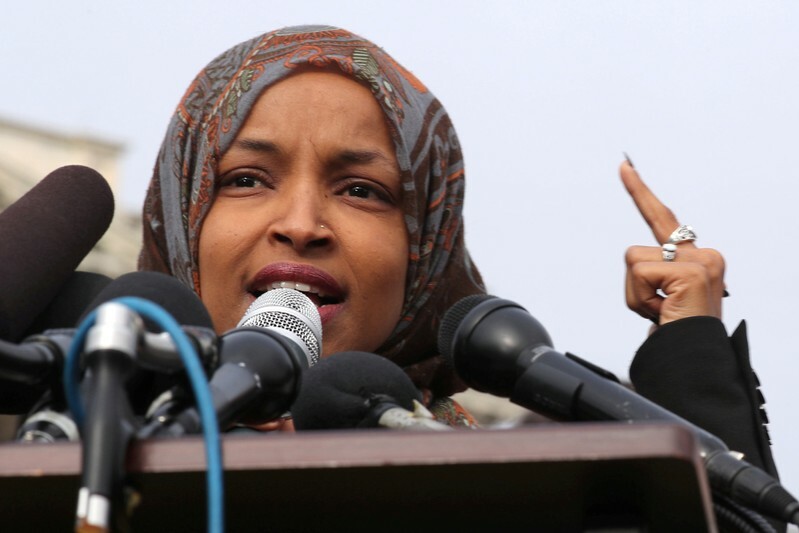 House Speaker Nancy Pelosi and other Democratic House leaders condemned her remarks, calling for an apology and saying anti-Semitism must be confronted and condemned. Omar apologized later that day. Trump himself drew widespread criticism from Jewish groups and others after saying “both sides” were to blame after a 2017 Charlottesville rally where white supremacists carried Nazi flags and shouted anti-Semitic slogans, facing off with counter-protesters. This year, Trump failed to condemn a fellow Republican, U.S. Representative Steve King, after he made comments that questioned why white supremacy is considered offensive. Despite objections from Native Americans, Trump continues to refer derisively to U.S. Senator Elizabeth Warren as “Pocahontas.” He began his presidential campaign in 2015 by saying Mexico was sending its criminals and rapists to the United States.